St. Peter, Minn., home to 11 thousand people, is nestled within the verdant hills of the Minnesota River Valley. 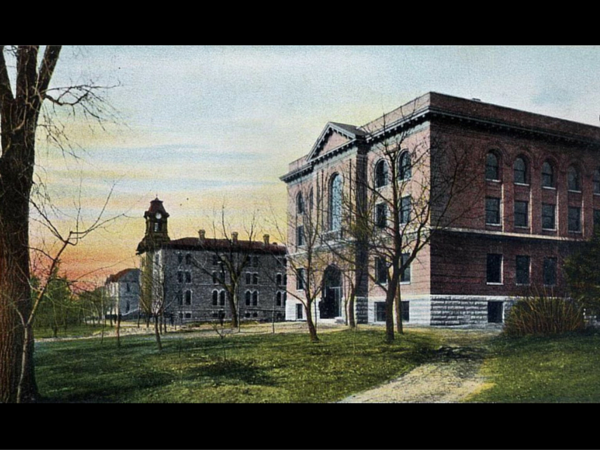 The town was originally intended to be the state capital of Minnesota, until a legislator named “Jolly” Joe Rolette nabbed the bill and hid it from the governor’s awaiting signature. Unflappable, the city would play its own part in state history by providing a home to five different governors. Now the city is debating whether to be home to another resident — to solar arrays. Last October, the Director of Public Works Pete Moulton stated in his memo to the City Council that solar is cheaper than ever. Realizing this, more and more local customers, in addition to the five who have already gone solar, will seek distributed generation to power their own homes. The prospect was a problem for the city utility. Under compensation from net metering, rooftop solar generation is credited at exactly the same rate as purchasing retail electricity. The City Council, despite objections from a single council member and a few locals, voted 5-1 to commission a study on what rates to charge solar users. What’s being studied in St. Peter mirrors a nationwide debate on how to value rooftop solar. All but four states were subject to debates over sought to change rules related to solar power development and compensation in the past year. On one end, there are utilities, who mostly see solar as a cost; on the other end, there are solar advocates, who see savings and value-added (see image below). Utilities are finding ways to charge solar customers more to recoup those supposed costs.. Akin to St. Peter’s matter of study, 21 utilities in 13 states proposed to place fees on solar customers alone. 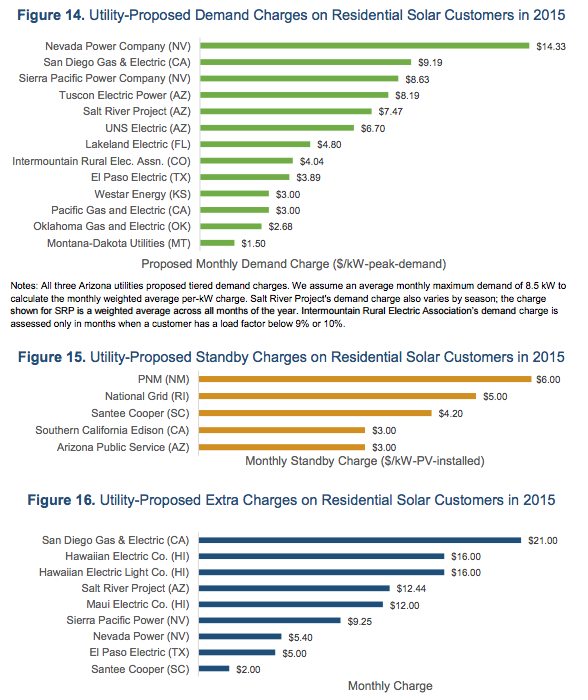 Most solar fees were denied or withdrawn under the scrutiny of state public utility commissions. The few that did pass were substantially reduced. In Wisconsin, WE Energies’ fee on solar users (the users that represented 1/10th of 1 percent of WE Energies customers) was accepted by the state utilities commission but later rejected by a judge, who cited a lack of evidence for a cost shift from solar users to non-solar users. Advocacy group Renew Wisconsin said such a fee would have erased 25% of savings from solar for a typical homeowner. The most dramatic solar fees are usually featured in the sunniest states with the highest penetration of people with rooftop solar (below). In Hawai’i, for example, 12% of rooftops have solar, while sunshine in places like Nevada leads to large-scale solar being cheaper than natural gas or coal. In these states, utilities are penalizing all users in their attempt to curtail more distributed solar development. Demand or standby charges would increase the portion of a monthly electric bill that is fixed, reducing the ability of customers to reduce energy costs by adding solar or through other efforts, such as buying Energy Star appliances or turning off lights in unoccupied rooms. The actors in the debate are becoming more vocal as solar electricity becomes more competitive with utility-provided power. Warren Buffett, owner of several monopoly utility companies, says solar “could erode the economics of the incumbent utility.” Florida Power & Light and other Florida utilities have poured millions into fighting customer-owned solar in their state. Duke Energy, a monopoly, for-profit utility in North Carolina, has even suggested that the state fine a church that is procuring solar power without its consent. Unlike Warren Buffett’s utilities, municipal utilities such as St. Peter’s usually do not have to answer to state regulatory commissions. Minnesota was an exception in the matter of limiting the ability of municipal and cooperative utilities to assess special fees on customer-owned energy generation. A new law in 2015 opened to door to such fees, but with an important caveat: before assessing fees (which have to be “reasonable and appropriate”), a cost of service study must be undertaken. Hence, St. Peter’s current study. The city’s study of the issue shows better compliance with the law than many Minnesotan electric cooperatives that were enabled by the same 2015 legislation. Several have already implemented fees, but failed to produce the required cost of service studies. He says solar also reduces costs for the utility, creating value. When demand is high, solar can reduce the expensive need of firing up a “peaking” power plant and sending the energy out on long transmission lines.It avoids fuel purchases for power plants. It can reduce the need to purchase power on the wholesale market. It reduces emissions from natural gas- and coal-fired power plants, while providing other environmental or societal benefits. 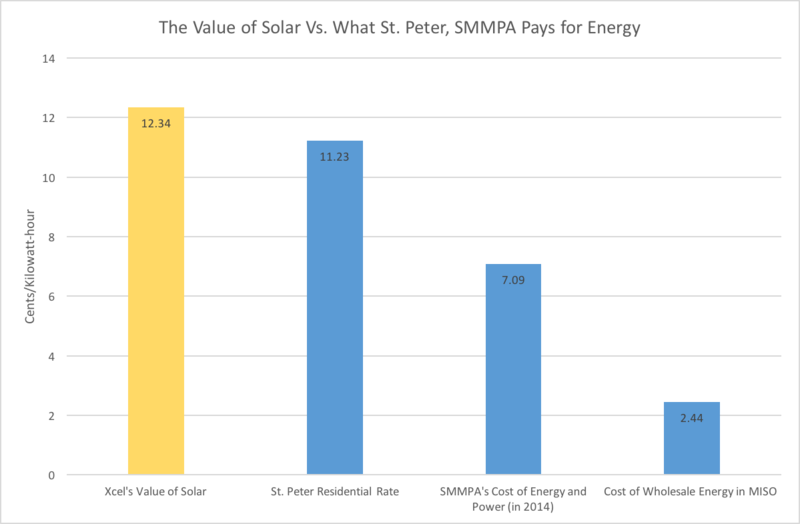 St. Peter has access to some of the best data on the value of solar, thanks to a 2014 policy adopted by the state’s Public Utilities Commission. One utility’s value of solar tariff calculation — from Xcel Energy, serving territory adjacent to St. Peter — determined that solar has a value of 12.4 cents per kilowatt-hour — nearly a full cent more than St. Peter residents pay for electricity. or the cost of power, as available for purchase on the MISO wholesale energy market. The relative high value of solar in Minnesota isn’t unique. 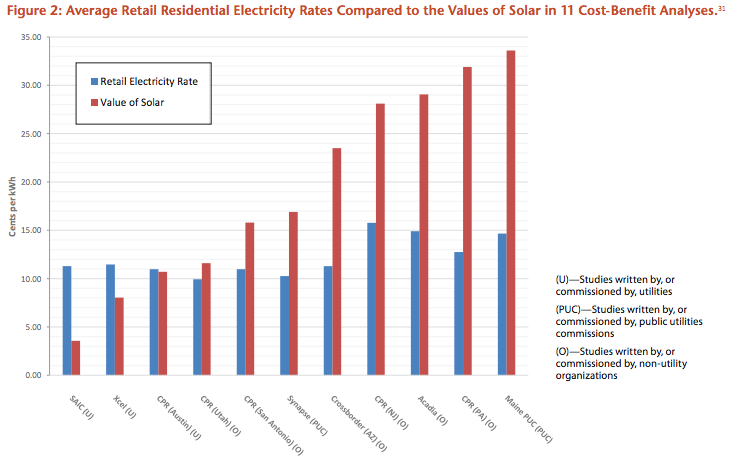 Numerous studies from other states, especially those funded independently from the utility, show solar’s value higher than its costs. But St. Peter Municipal Utilities is caught in a particularly tight bind. Some revenue from power sales buoys the city’s general fund, making the loss of sales from solar (even if beneficial overall) a hit to the city budget. 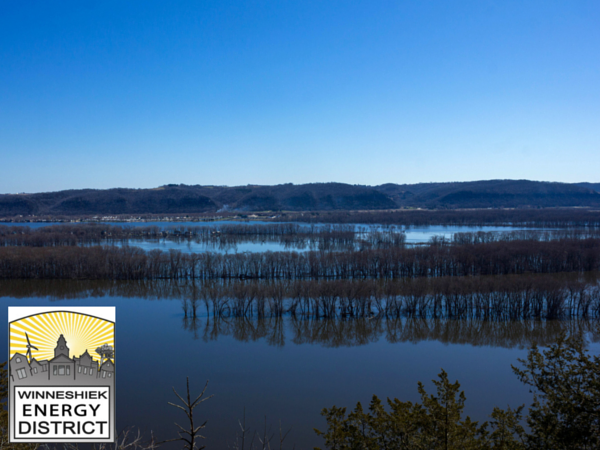 Additionally, the utility has an obligation to buy energy through its long-term purchase contract with the Southern Minnesota Municipal Power Agency (SMMPA), an alliance forged of 18 small municipal utilities to buy electricity in bulk. In the 1950s, municipal utilities were determined to free themselves from reliance on power purchases from investor-owned utilities. Under projections of exponentially increasing load, many pooled together their resources to form joint action agencies (like SMMPA), state-borne power companies that would take advantage of economies of scale to build huge power plants. The joint action agencies locked in municipal utilities under long-term contracts that required the municipalities to buy all of their energy from the joint action agency, with few exceptions for self-generation. These take-or-pay contracts are often extended for decades at a time, just long enough to ensure that debt could be repaid. Joint action agencies, while formed to enhance public interests, ended up buying most often into enormous, privately operated power plants, a practice that continues today. The Southern Minnesota Municipal Power Agency was no different. Its 18 members rely heavily on Sherco Unit 3, one of the largest coal-fired power plants in the nation, owned and operated by Xcel Energy. Sherco Unit 3 supplies more than 80 percent of St. Peter’s yearly energy. 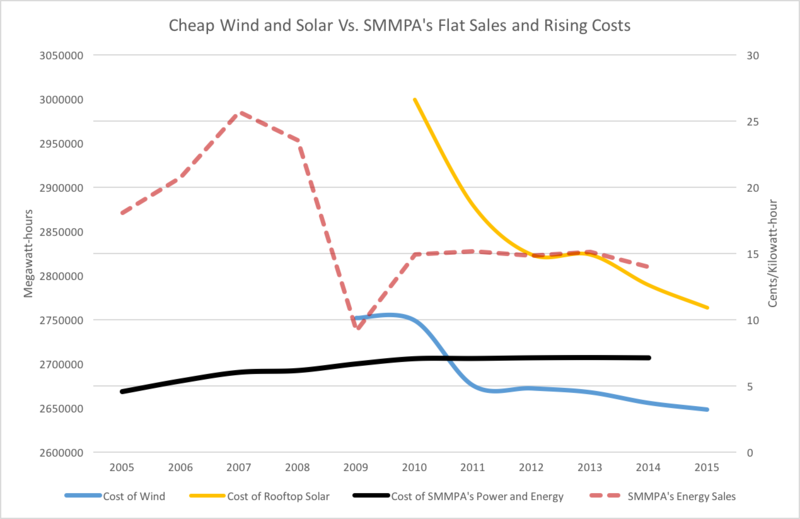 Big investments can unfortunately mean big costs, however, especially when electricity sales are flat (black line) and solar and wind prices (yellow and blue lines, respectively) continue to drop to or below SMMPA’s current cost of generating energy (red line). “If electric rates are not increased, the city would likely have to consider reducing the amount transferred into the general fund, the memo suggests, potentially resulting in higher taxes. St. Peter Municipal Utilities is caught between rate increases from SMMPA and the revenue needs of city council, which annually draws 6.5% of the electric fund to the general fund. On average, electric fund transfers average more than $650,000, about 1/10 of the city’s general fund, making the city somewhat sensitive to revenue changes. Some cities have chosen to limit or cut off their take-or-pay contracts with SMMPA. Austin, Rochester, and Waseca — accounting for 58% of the agency’s sales in 2014 — will exit the contract in 2030. 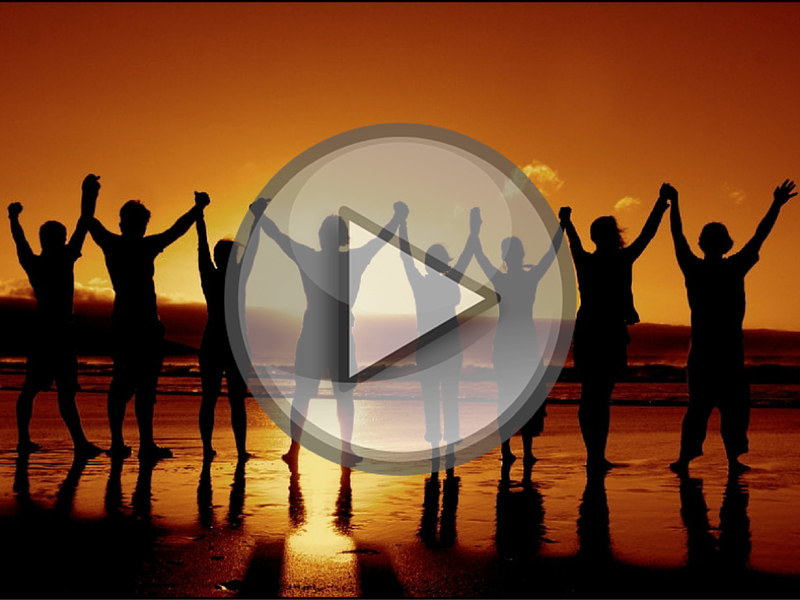 SMMPA’s 15 other members chose to extend their contracts to 2050. Rochester, the largest utility on SMMPA’s system, seems empowered by the impending switch. Ardell Brede, the mayor of Rochester, announced last fall that the city would study going 100% renewable with their energy supply. Their goal date of 2031 is the year after their SMMPA contract expires. After the solar fee study was commissioned, Faith Wicklund and a group of a dozen other St. Peter citizens organized house meetings with St. Peter councilmembers and utility personnel. Focused as a dialogue between citizens and the city, the River Prairie branch of Minnesota Interfaith Power and Light advocated for more solar in St. Peter, while city workers have been upfront that the issue is complicated — and the electricity bill needs to be paid to SMMPA every month, no matter what. Still, Wicklund says, the city and SMMPA need to figure out how to accommodate customer demand for renewable energy in St. Peter and other nearby cities served by municipal utilities. 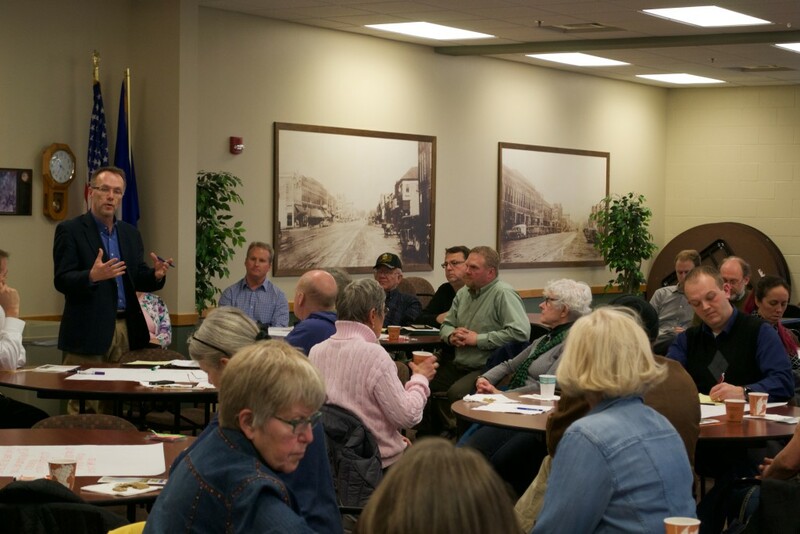 Curran’s group is working to organize another public forum in late May, in partnership with Conservation Minnesota and Environment Minnesota. But St. Peter councilmember Jeff Brand, the dissenting vote on the solar fee study, is still looking at what the city could do better.